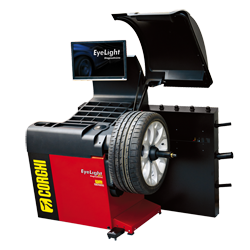 New EyeLight Plus guarantees high productivity and high profitability. Launch and diagnosis times have improved by 40% compared to the previous version. Touchscreen & Contactless, automatic, quick and works without touching the wheel.